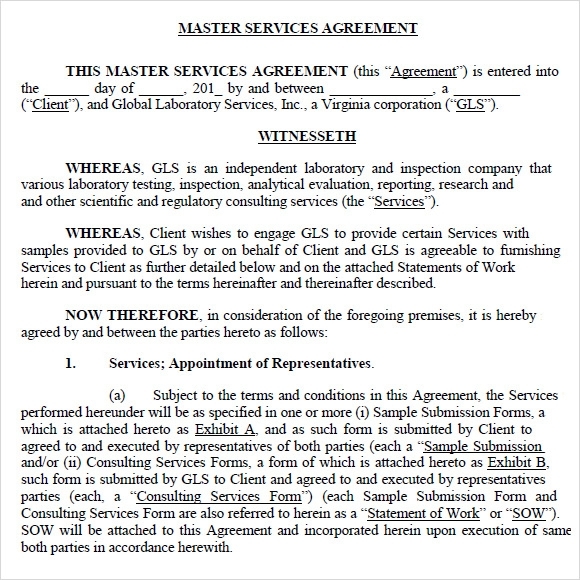 A Master Service Agreement is a contract reached between parties, in which the parties agree to the terms that will govern future transactions or agreements. 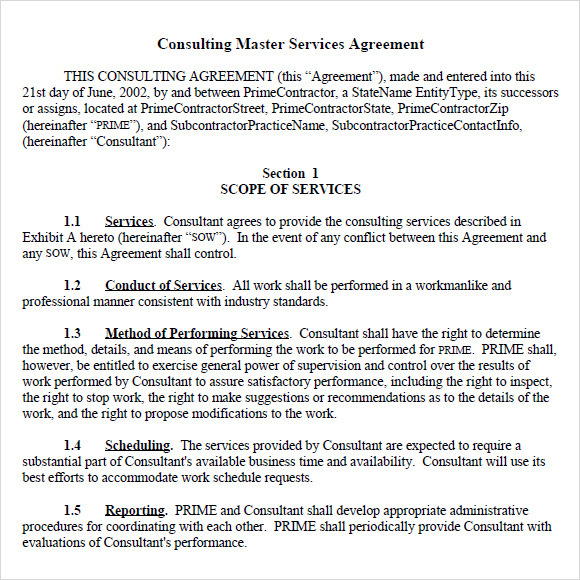 A typical Master Service Agreement specifies generic terms for example payment terms, dispute resolution, and other such terms. The terms for such situations are agreed upon and hence they are referred to whenever necessary. As a Master Service Agreement , Marketing Budget Template is such an important document, it makes sense to cover every possible situation. 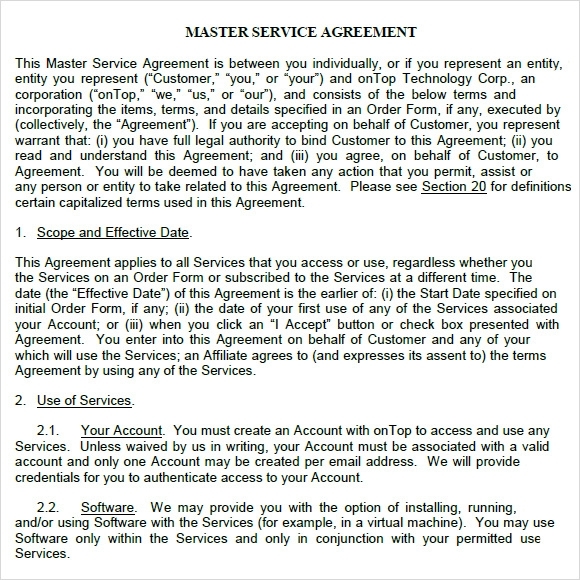 Our Master Service Agreement templates do this job perfectly. These samples can be downloaded for free and can be used in any format. A master service agreement is very essential while establishing a contract between two parties. 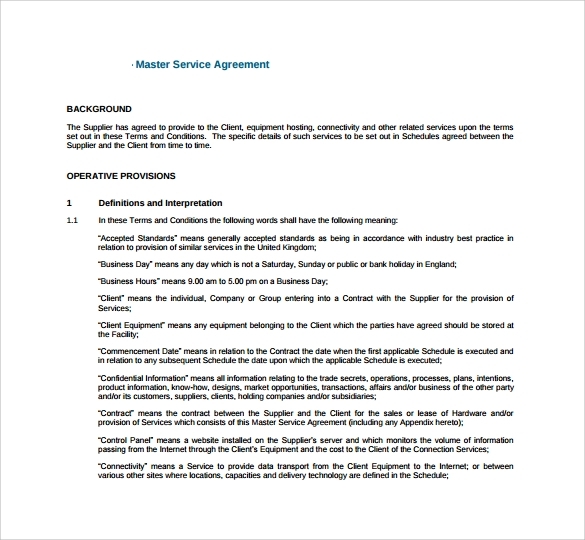 This master service agreement template provides a glimpse of how to make a proper and effective contract between two people. In this contract there are various agreed upon rules regarding the conduct of services, their methods, etc. 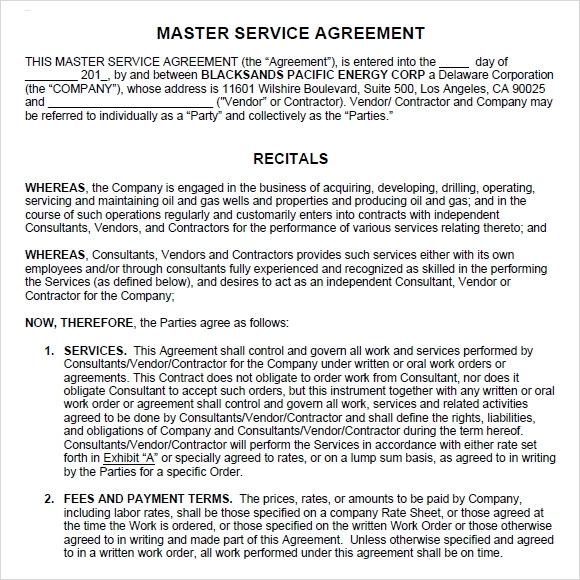 In this master service agreement oil and gas template, operators and contractors have come to an agreement where the contractor will serve the operator from time to time according to the mutually agreed terms and conditions. This template provides ways of setting terms and conditions which both parties can agree with. 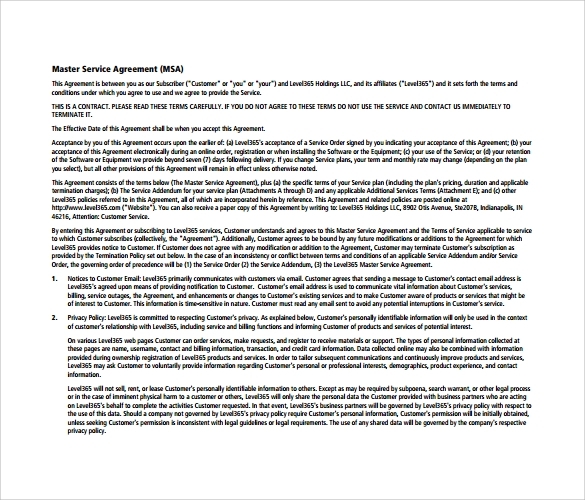 This master service agreement contract template provides people an idea of how to establish a contract with another person regarding some work where both of them would agree to the terms and conditions. In this template details about the terms and conditions in which both the parties have agreed upon are given. 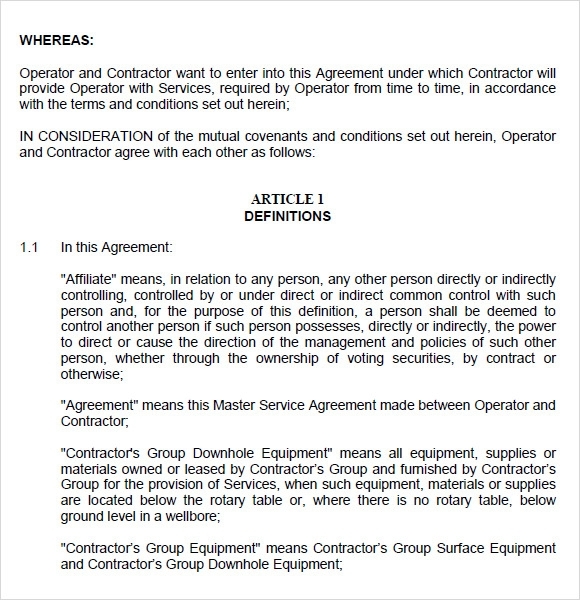 In the Simple Master Service Agreement, an agreement is shown between the operator and the contractor where details about both of them are given in brief. Then the mutually agreed terms and conditions are provided, thus showing how a simple agreement can be made. 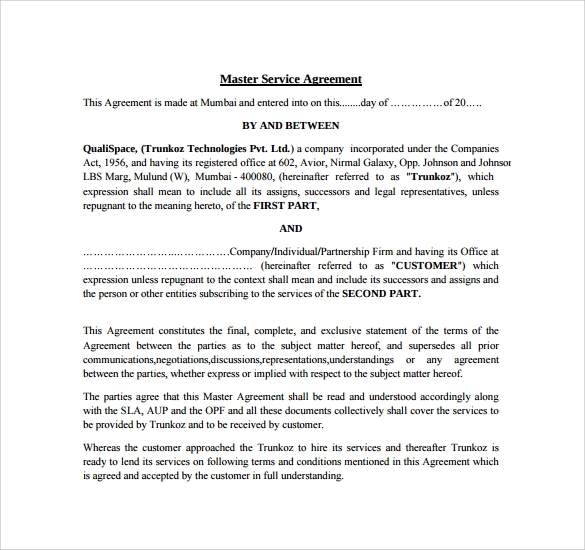 Why Do You Need Master Service Agreement Templates? There should be a proper master service agreement between an operator and a contractor. In the agreement details about both of them are provided along with the terms and conditions. This helps both the parties to be clear on the grounds they will be working. Such agreements are necessary when two parties, one of them being the server and the other one who is being served, come together for a particular work. In such cases, these templates prove as examples of how to correctly set an agreement between two parties. When Do You Need Master Service Agreement Templates? As the name says, with the help of this particular template, one can form an agreement between two parties. If you are a business owner, then you are required to create agreement with many other parties every now and then. It is very tiring as well as time consuming to make agreement every time. Hence, with this type of template you can easily make one whenever you need. Hence, take help of the master service agreement template and use it to serve your purpose without any difficulty.